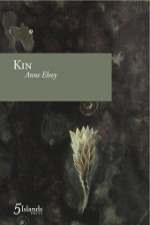 The kinship Elvey forges between her poems and ecological criticism lends both rigour and reverence to her first full-length collection of poetry. There is a radiant stasis at the core of her poems that encourages the reader to listen to the susurration of multiple, overlapping conversations to which Elvey is contributing. that are “country” for their Aboriginal, traditional owners. as if they know me. I wonder should I call out in return? In this suite, Elvey puts faith in the relationality of being claimed. She applies a postcolonial ecocriticism in her poetic utterances as she moves ‘into, out of/country’, haunted by ‘settler shame’. Deborah Bird Rose has argued that ‘language is full of ghosts’1 and Elvey’s ‘Claimed By Country’ poems are haunted by the ethnographic voices she enables ‘on Nyoogah land’. The narrator considers adding her voice but she chooses silence, allowing Indigenous subjectivity to in-habit the space. face to the soil. The frame is filigree. On its reverse ants outline a world. The juxtaposition of music and soundlessness is framed by the mirror; its shiny front resting on the soil, exposing its ‘reverse’. The chain of ants in the fourth line rings ‘a world’ between Dreamtime and Picnic at Hanging Rock. It is a stunning moment beyond language when, finally, ‘a/small face looks up, mute’. This entry was posted in BOOK REVIEWS and tagged Anne Elvey, Cassandra Atherton. Bookmark the permalink.